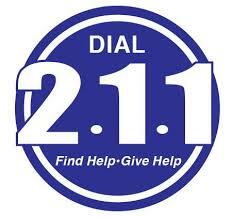 2-1-1 is an easy to remember telephone number and Internet portal that provides free, confidential multilingual information and referral services that connect residents in need with a full range of appropriate community, social, health and government services including housing, food, health facilities, legal and tax assistance, child care, and volunteer opportunities. East Tennessee 211 connects people in our community with the services they need. Services like shelter and housing, food, substance abuse prevention/treatment, health facilities, mental health services, senior issues, financial assistance, legal assistance, child care, child and elder abuse services, disaster relief, crisis intervention, and volunteer opportunities.